I first came across this hidden gem during the Sweet Charity Month, for those who haven't heard of it, it's a month where your sweet tooth helps to contribute to a worthy cause of the NUH Kids' Heart Fund. Sounds absolutely tempting for me, and while browsing the photos of participating F&B establishments for the range of desserts, I was captivated by the ondeh ondeh cupcake. A fan of gula melaka, this seemed unique enough for me to make a trip down and I'm pretty much a die-hard fan of their cupcakes since then. A place to go for some local fusion food, it managed to satisfy my palate with its unique offerings. 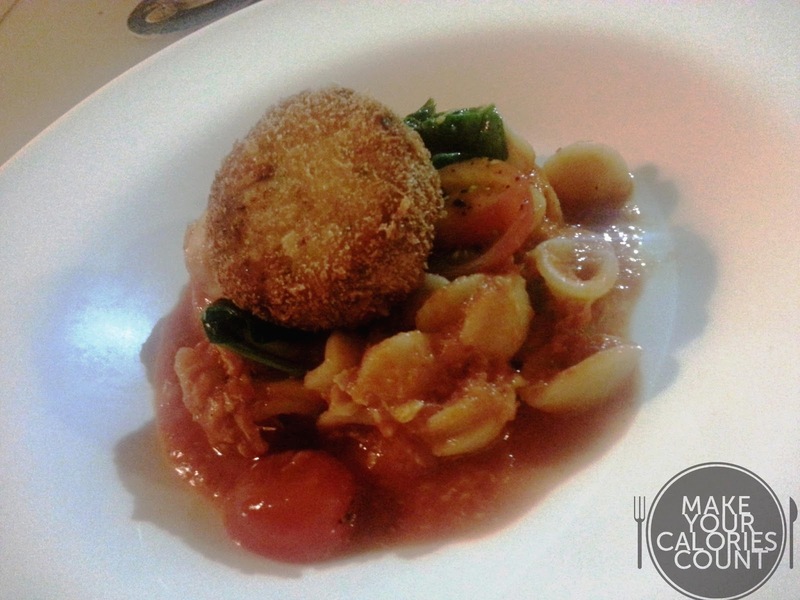 As we ordered a box of the ondeh ondeh cupcakes upon reaching and placing our orders for the mains, we were pleasantly surprised when we were served a plate of two taster samplers of the ondeh ondeh cupcake. 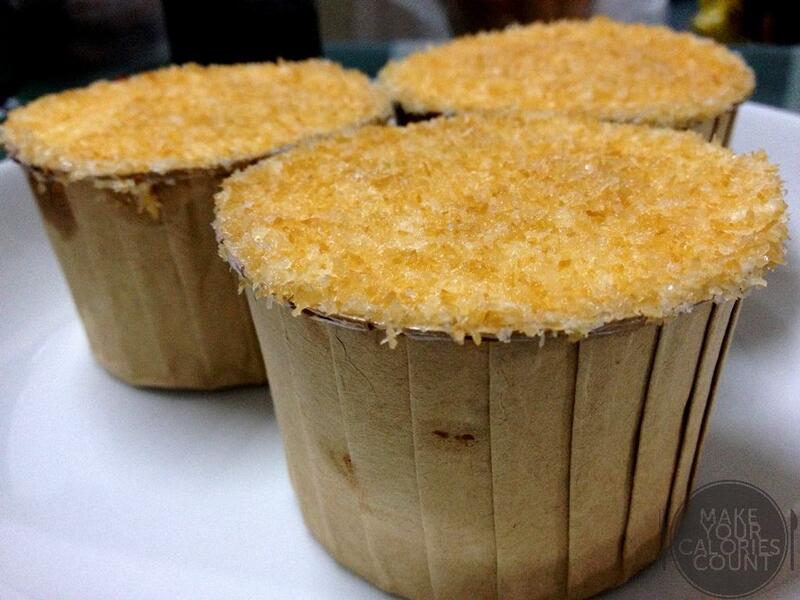 Topped with a generous amount of dessicated coconut on top that gave a crisp to the expected usual soft sugar icing cupcakes, it wasn't too sweet and the texture of the cupcakes was just fluffy enough for my liking. 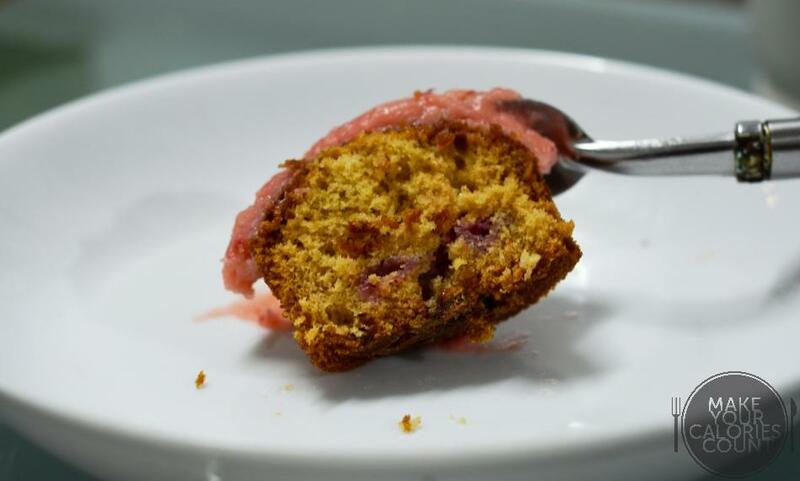 Unlike the usual type which tended to be overly moist or dense, this felt more like cake and seemed more fitting to be called a dessert. It was a mouthful of happiness that kick-started our meal already. This was quite a disappointment as it didn't have a strong truffle taste to it. What was good though, I liked how every fry was consistently picked and it didn't have any that was flat and just plain crisp, which I tend to leave aside. The portions were pretty large too, more than sufficient for two persons, and every piece remained crispy till the last one standing. The curry fries, however, was worth the calories with the subtle fragrance of the curry leaves, and the addictive spice. It wasn't too overpowering and tasted just right in my opinion. 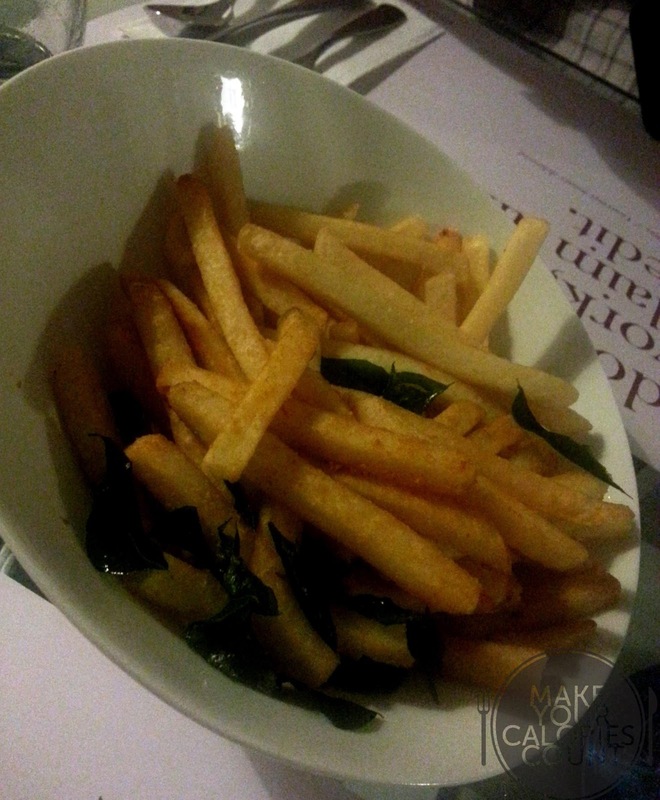 It got so addictive that we almost ended up neglecting the truffle fries! I didn't exactly enjoy this dish, thought it was quite a disappointment given the raving reviews. The pork was a tad too dry for my liking and it became a little 'jelat' while attempting to finish it. It was quite abit of pork overdose in my opinion and perhaps it could have been better accompanied by some other sides, cutting down on the portion of pork served. Pretty discouraged by the mains for the first time round, a subsequent visit for dinner proved me wrong with an interesting rendition of one of my favourite dishes - chilli crab. This fits my palate to a T. Craving for the all-time favourite local delight, this was quite a fusion that made me extremely satisfied. With al dente pasta shaped in cute little convexes, it was able to encompass the chill crab sauce and crab meat in every mouthful. The sauce tasted just right too, slightly sweet just like the usual chilli crab sauce that goes with your fried bun at seafood restaurants. What was exceptional was the generous portions of crab meat, accompanied by a whole patty of crab cake overflowing with solid crab meat packed in it. It felt as though I was eating chilli crab, in a cleaner fashion this time. 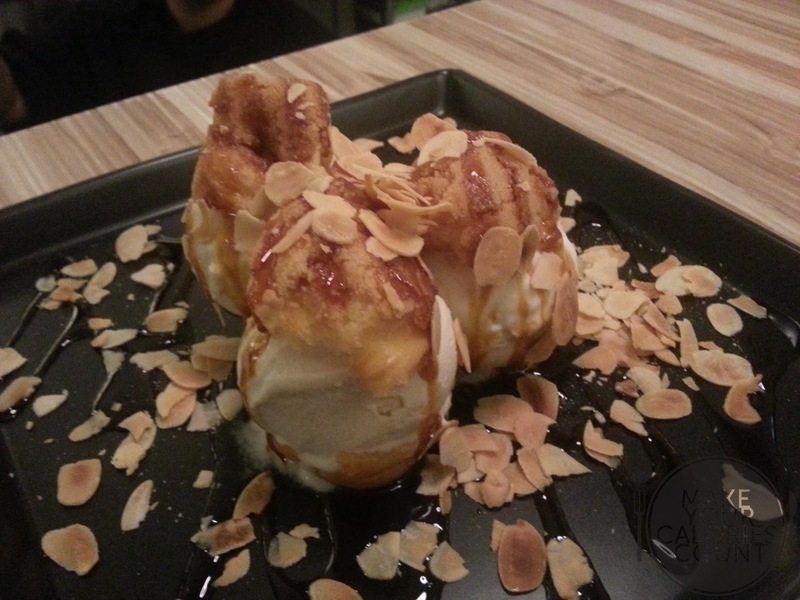 With a local twist, this was drizzled with gula melaka, which was perfect for a fan like me. Quite a decadent treat with rich banana flavour bursting in the mouth, you could taste the natural sweetness of the fruit. Apparently, in order for such sweetness to come through, they used lots of real bananas mixed in the ice cream and had to leave it for a couple of days in order for it to caramelise and having the strong flavour and sweetness of banana. The gula melaka sauce gave a slight local taste to it, but we thought it could have been denser to bring out the flavour stronger. Nonetheless, it was happy food to us! Quite a fanciful name that caught our attention and decided to give it a shot, it was an interesting mixture that tasted well when put together. 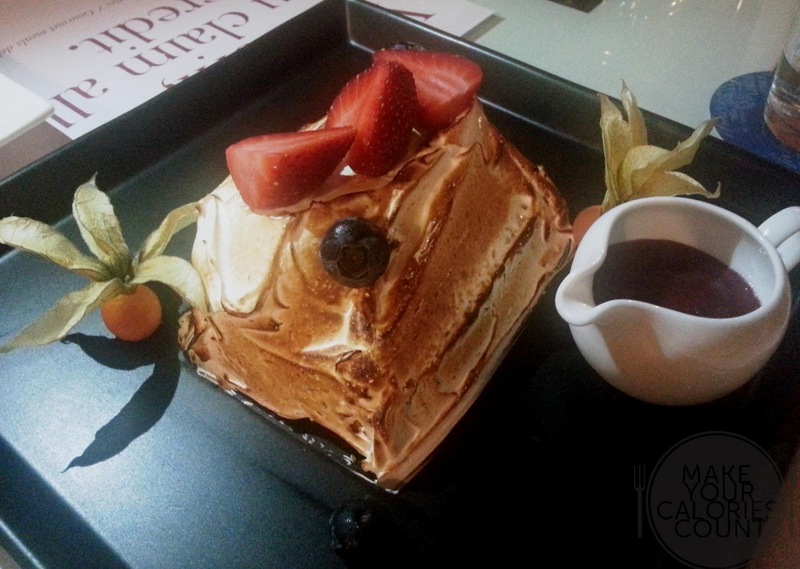 A combination of pineapple jam and vanilla gelato contained in a cake and topped with meringue, it reminded me vaguely of baked alaska. It was a refreshing and unique pairing that got us pretty intrigued. 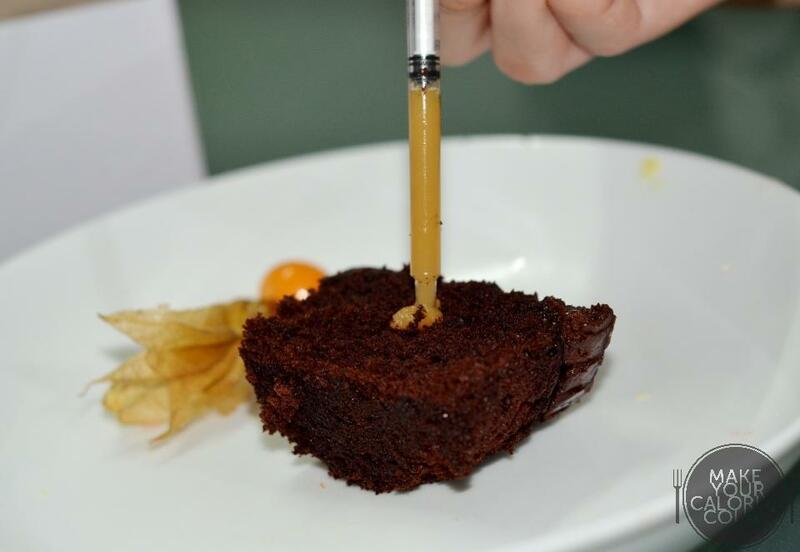 I was half expecting the pineapple taste to be overpowering as with most pineapple infused dishes and was gladly surprised that it simple gave a sourish tinge to the dessert, and I liked how homemade it tasted, with real fibres of the pineapple. The meringue portion however, was a little too dense for my liking, and it contained some sugary bits, perhaps to give a variation in texture. I would have preferred it lighter and finer though, but that's just my preference. 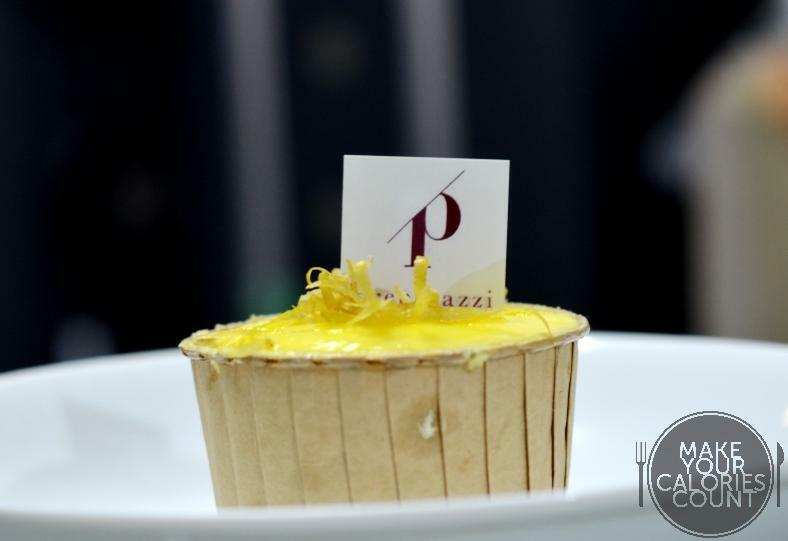 And finally, the highlight of every single visit I make to Preparazzi, it has to be the cupcakes. Having tried some of the 'famed' cupcake places, I still think this wins hands-down. I never used to like cupcakes despite having such a sweet tooth. This, however, managed to change my impression of the usual artificially sweet from fondant/full of decorations yet tastes horrible kinda cupcakes. An absolute must-try! The only difference this had from the samplers was the gula melaka fillings in the centre. 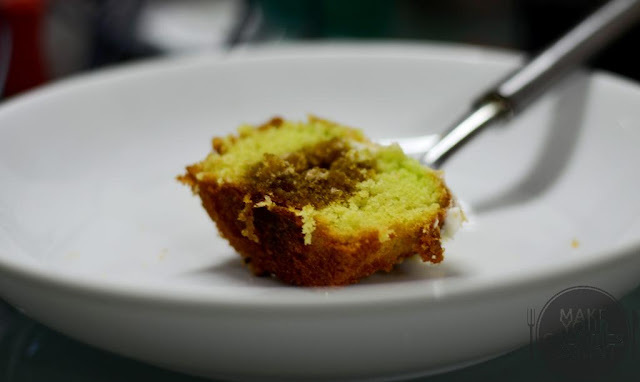 The soft fluffy pandan flavoured cake topped with toasted dessicated coconut to give that extra crunch and a mouthful of gula melaka, it was pure happiness contained in a cup. 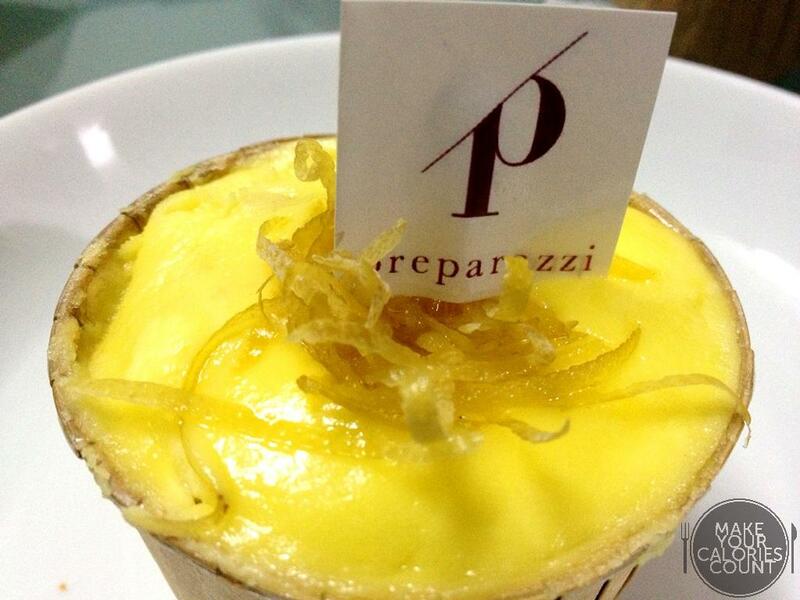 This is always on my must-get list for each visit to Preparazzi. This might come across a little too sweet for some, with the raspberry icing sugar on top. Perfect for me with quite a sweet tooth, I liked that it had a strong tinge of raspberry throughout, with fillings that we figured was raspberry jam. Likewise, the cake portion was light and fluffy which appealed to us. A differing point of view though, cy thought that the icing sugar could have been finer as we could taste sugar bits throughout. I felt that it gave an interesting variation of texture and this was consistent throughout the different flavoured cupcakes we got. 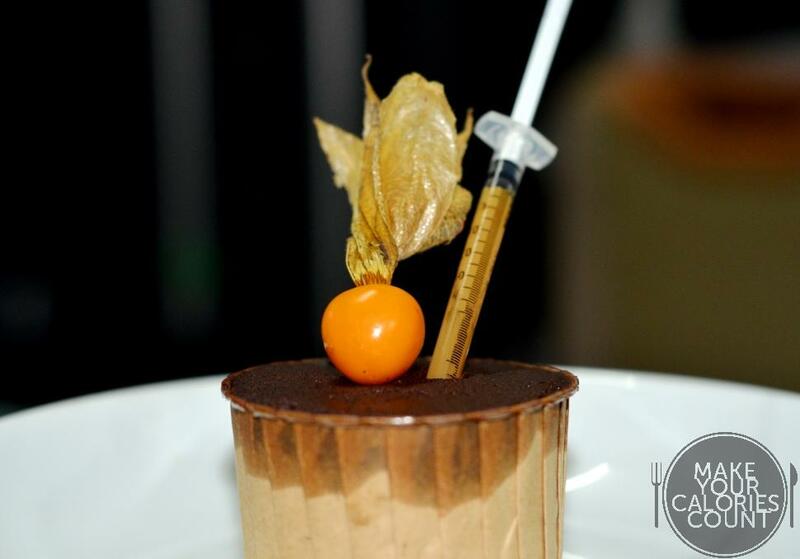 Just like any kid, we got fascinated with the syringe and started injecting the cake everywhere with a dose of caramel. Rich with chocolate, this is a must-try for chocoholics. It wasn't too sweet, and had a slight bitter tinge to it, that made it not so 'jelat'. The caramel, however, did little to enhance its flavour, perhaps as it was insufficient to go with every mouthful of the chocolate cake. This is another one of my favourite out of the list. It wasn't overly sweet, and had a slight citrus twist to it, giving it a refreshing change of taste. It wasn't the kind that makes your nose cringe at the smell of it, so you wouldn't have to worry about it being too sour. 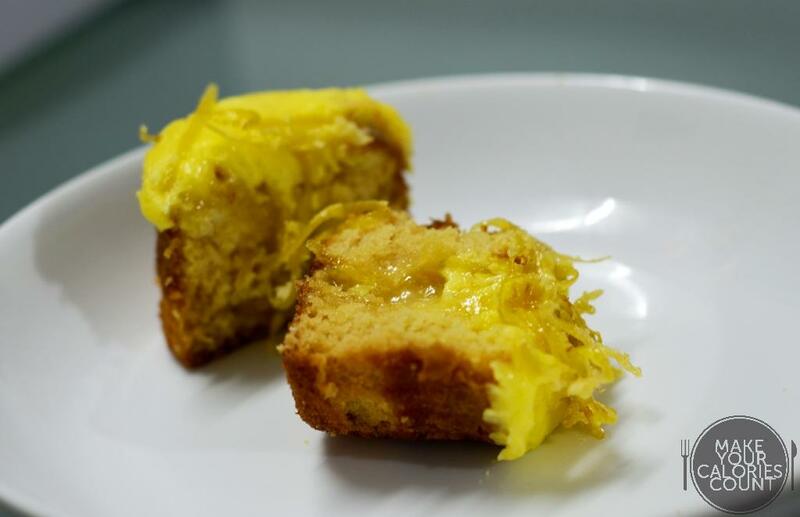 The dried candied peels on top gave the variety in textures and I like how it went well with the soft lemon curd and fluffy cake. A glance at their brunch menu has gotten me salivating and wanting to go back for more already. Located in CBD area, I've heard that this is always super packed during lunch hours. A great place to drop by and chill for the night as the dinner crowd isn't really overwhelming and makes it conducive for talking. If I had to describe this place in a word, it would be authenticity. From the people to the food they serve, you can feel the genuinity shining through. 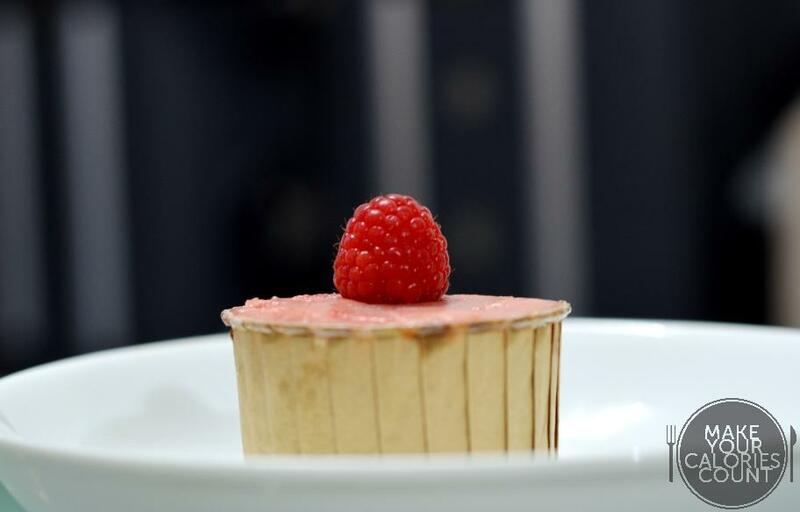 Speaking to their chefs, we found that almost everything is made from scratch, with the freshest/best ingredients, even down to the jam and ice cream used in their desserts. Of the people, the company is also very supportive of social causes and takes part in activities that benefits social causes every month e.g. hair for hope, sweet charity etc. The staff there is extremely friendly and attentive, simply stop them for a friendly chat and you'll be able to find out so much more if you're interested in what they do! This is by far the best place for cupcakes and fusion local cuisine I've had. Friends working around CBD area or if you're just looking for a quieter place for dinner slightly away from town, make sure you try them out! 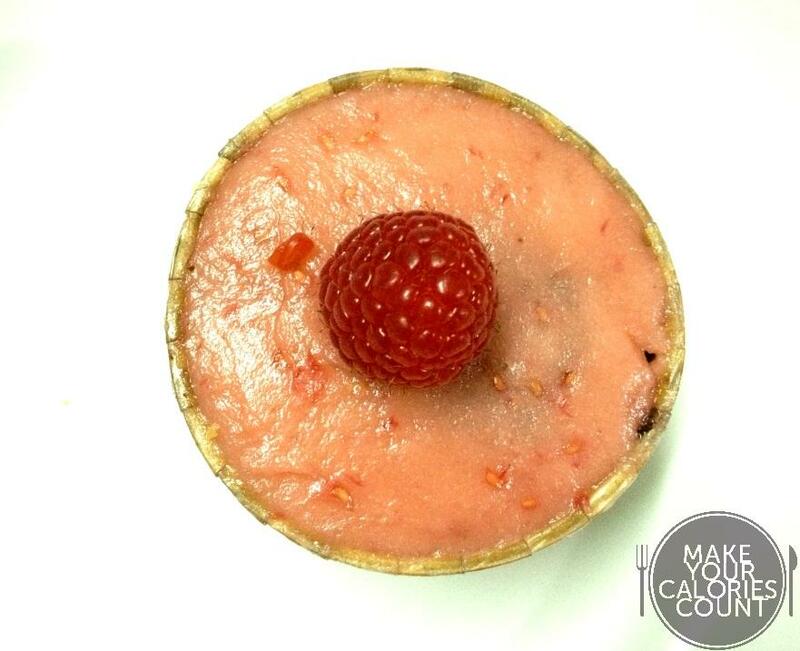 Keep Calm and Make Your Calories Count! [HK] Happy New Year 2013!